Twitter, a social media platform known for its capacity to connect and provide global community, collectively asserted its right to free speech and public assembly today. 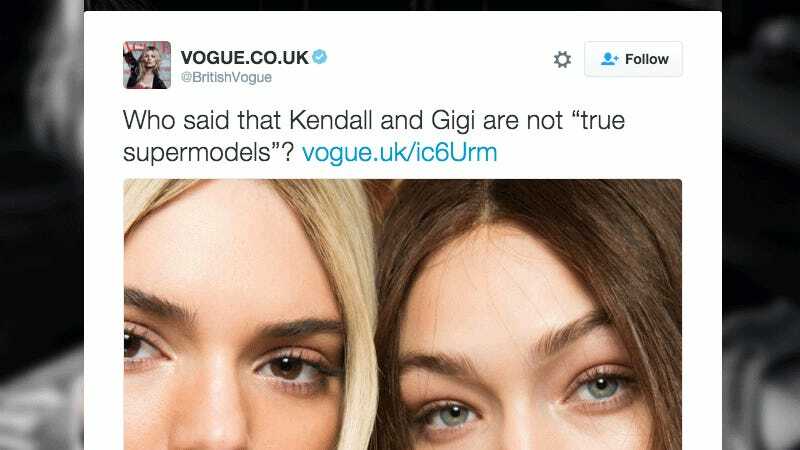 After the non-profit polling think tank British Vogue posed the question, “Who Said that Kendall and Gigi are not “true supermodels?,” the constituents voted and the results poured in. The result? A landslide “Everyone” (+/-2). It’s a pretty good show of democracy, but what do you think? Image via screenshot. .Gif by Bobby Finger.